Cape Town – Members of Parliament tasked with conducting an inquiry into Eskom have complained over the lack of legal resources made available by Parliament and intend to approach National Assembly Speaker Baleka Mbete about the matter. At a briefing of the portfolio committee on public enterprises, MPs heard financial resources are insufficient to appoint an external evidence leader to question witnesses in the Eskom inquiry. In addition, the legal opinion obtained from Advocate Zuraya Adhikarie, chief legal adviser of the Constitutional and Legal Services Office, stated that MPs involved in the Eskom inquiry should not ‘relinquish’ their oversight power to unelected officials or third parties, and advised against an evidence leader. MPs however rejected this notion, saying the inquiry that lies ahead will place a significant administrative burden on them and that the expertise of a legal professional will be paramount for the successful conclusion of the inquiry. Some have also expressed concern that the lack of resources may be a deliberate ploy to delay or hamper the investigation into state capture. “I have an inkling that the powers that be are trying to put a spanner in our works,” said Inkatha Freedom PartyMP Narend Singh. Floyd Shivambu of the Economic Freedom Fighters noted that advocates made available to government and President Jacob Zuma are all “external”, and asked why the same principle cannot be applied to Parliament. Democratic Alliance spokesperson on public enterprises Natasha Mazzone noted that witnesses called upon to testify in the inquiry should be assured of protection from Parliament. African National Congress MP Zukile Luyenge also weighed in on the lack of resources made available for the inquiry to be “kickstarted”. “We must avoid having a Gupta in the house,” he said. Nqabayomzi Kwankwa from the United Democratic Movement pointed out that a commitment was made to MPs at the chief whip’s forum that the necessary resources would be made available to Parliament for the investigations into state capture. “At the moment there seems to be reluctance to provide resources,” Kwankwa said. MPs were also concerned about the delay in getting the inquiry off the ground. 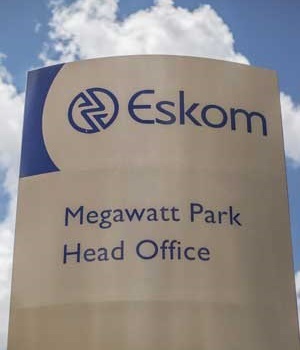 “It’s been three months since we’ve decided to establish an inquiry (into Eskom) and we need to address this matter (lack of resources) with the speaker urgently,” Mazzone said. MPs agreed that a subcommittee of three people, consisting of representatives from the ANC, DA and IFP, would address Mbete.